DC is really missing the obvious move. 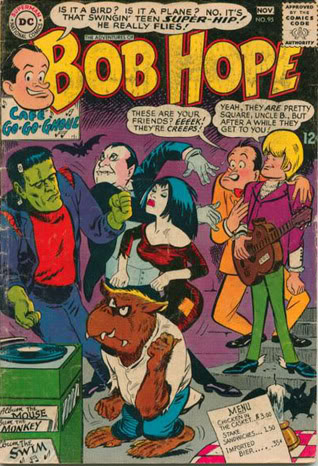 Their New 52 initiative has been a hit, with sales through the roof and critics generally praising their comics. 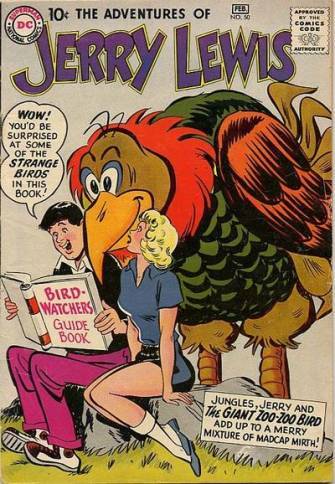 But with all the revamps, all the reintroductions of characters, and all the retcons, they have somehow, in some way, missed out on reviving their most popular superhero. Ok, so maybe I’m not all that serious. 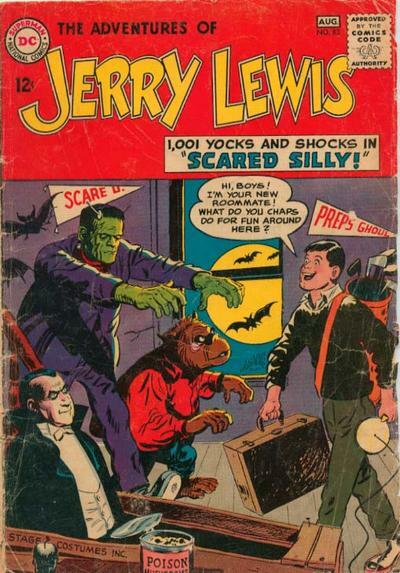 Back in 1952, running until 1957, DC published The Adventures of Dean Martin and Jerry Lewis. 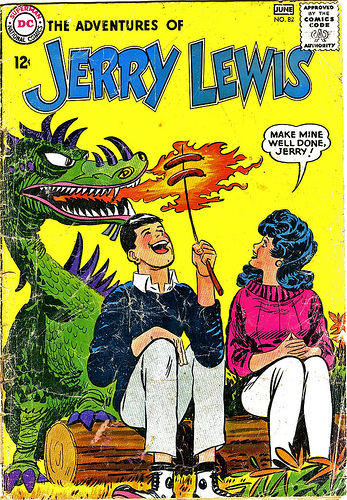 The title continued, without Martin, until 1971 as The Adventures of Jerry Lewis. Yes, you read that right. 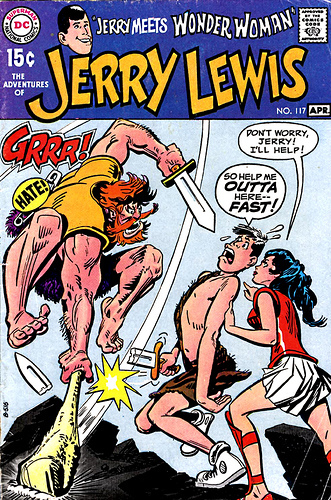 For nearly 20 years DC published a Jerry Lewis title. Take that, Firestorm. There is a huge list of major characters who can’t boast a run like that. And was Lewis popular? Sure, and look at who he teamed up with. And in all honesty, I have to say that I would buy those issues. 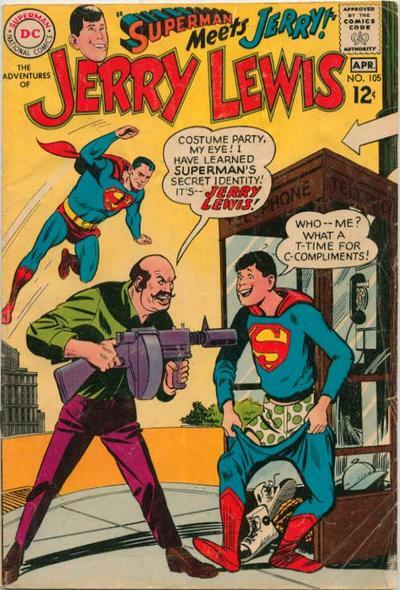 DC has a nice line of classic, hardcover reprints of old comics. 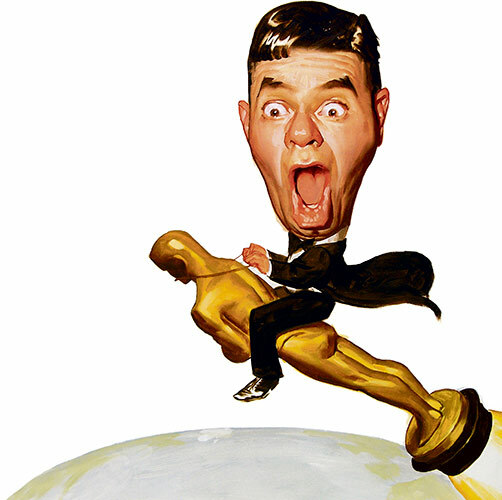 A small but vocal group of fans has been clamoring to get Jerry Lewis reprinted for years. And while it would probably not be a big seller, that isn’t the reason why you won’t see it at your LCS. 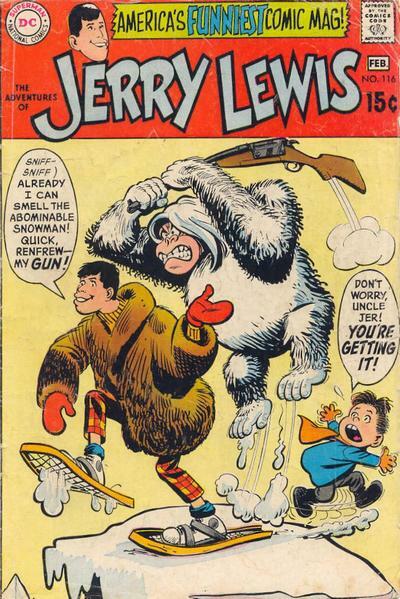 Jerry Lewis owns the rights and he is asking for an astronomical sum of money for the reprint rights. 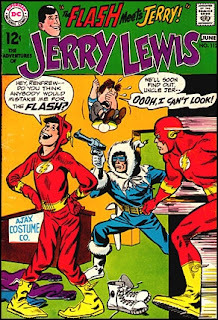 And that’s a shame, because wouldn’t you love to see Jerry in adventures like these? AGAIN someone rips off my Big Ape idea! Hey, wait a second, those guys look familiar. I think I’ve seen them somewhere before… I got it! Hey, Hope! Get your own rogue’s gallery! 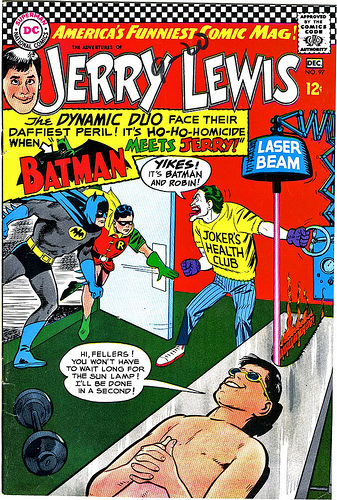 You don’t see Batman fighting Brainiac, do you? I remember Brent Spiner trying to do an imitation of him on an ep. of Star Trek : TNG ( ” The Outrageous Okona ” ). Surprisingly funny.